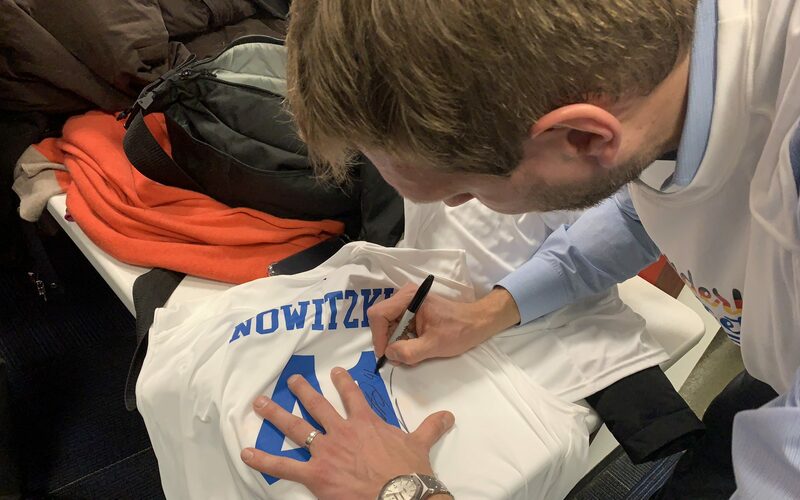 On Tuesday night, veteran Dallas Mavericks big man Dirk Nowitzki ended months of speculation and officially announced his retirement at an emotional ceremony following his team’s 120-109 victory over the Phoenix Suns, his final game on his home court in the American Airlines Center. The 14-time All-Star appeared in 1,522 regular season games over 21 seasons with the Mavericks, making him one of very few players to remain with one team for so many seasons. Watch Nowitzki’s farewell speech and more from the ceremony here. Bundesliga Total! is a contest held every year by the Goethe-Institut that invites middle and high school students from across the country to compete in challenges that test participants’ soccer knowledge and language ability during the Bundesliga season. Have you ever dreamed of being coached by a German soccer trainer and learning words like Einwurf, Flanke, or Tooooooooooooor? The Goethe-Institut is bringing this opportunity to young Americans across the US!